Looking for some really cute and stylish jewelry? 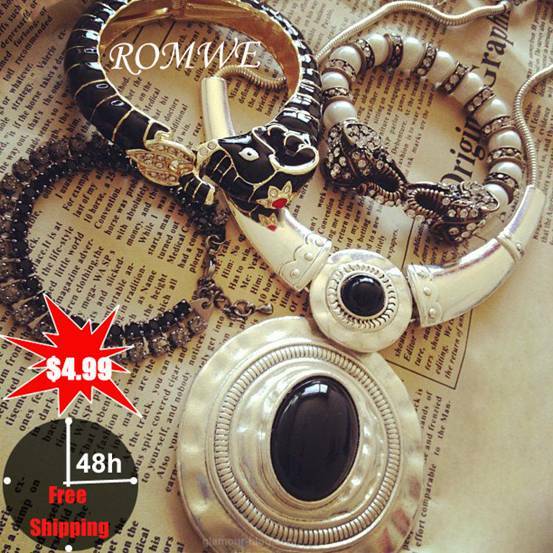 Better check out Romwe because they have this awesome sale for accessories for only $4.99! Yup, you read it right fashionista! Only $4.99 plus shipping and you’re ready to order accessories to enhance your look when you go out and about. Don’t wait too long because this big sale is only for 48 hours! Go check this out and you will surely find a piece of jewelry you will love and can’t wait to wear.